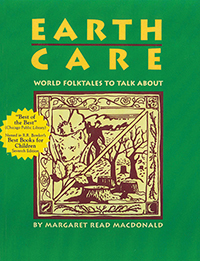 Storyteller Margaret Read MacDonald has regaled children aross the globe with her lively retellings of traditional folktales. She is the author of numerous folktale collections and children's picture books, including The Great Smelly, Slobbery, Small-Tooth Dog and Fat Cat. She lives in Seattle where she enjoyed a lengthy career as a children’s librarian.